For my birthday this year, we headed to Klein/Harris. It has been on my list since it opened last year and it did not disappoint. 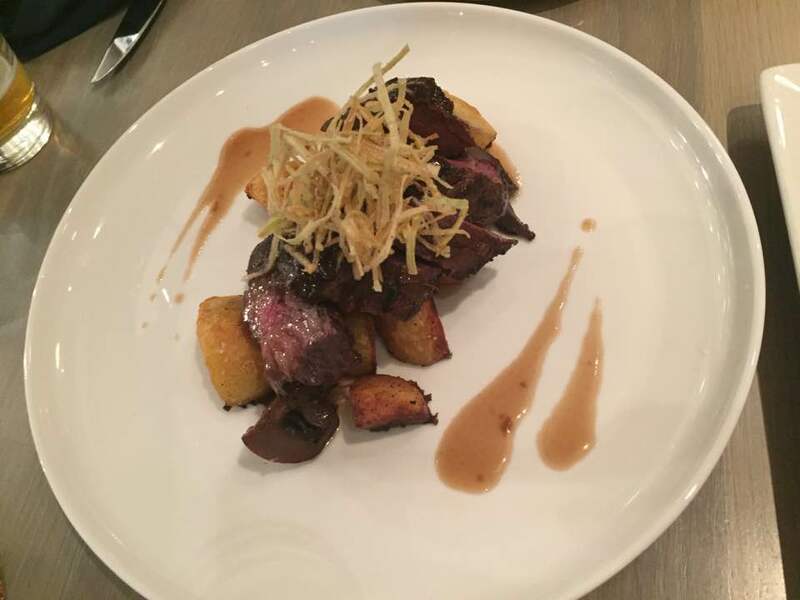 It is located at 110 8th Ave SW and you can make reservations on the open table app. They are closed Sundays and have limited hours on Mondays and Saturdays but great hours the other remaining days. 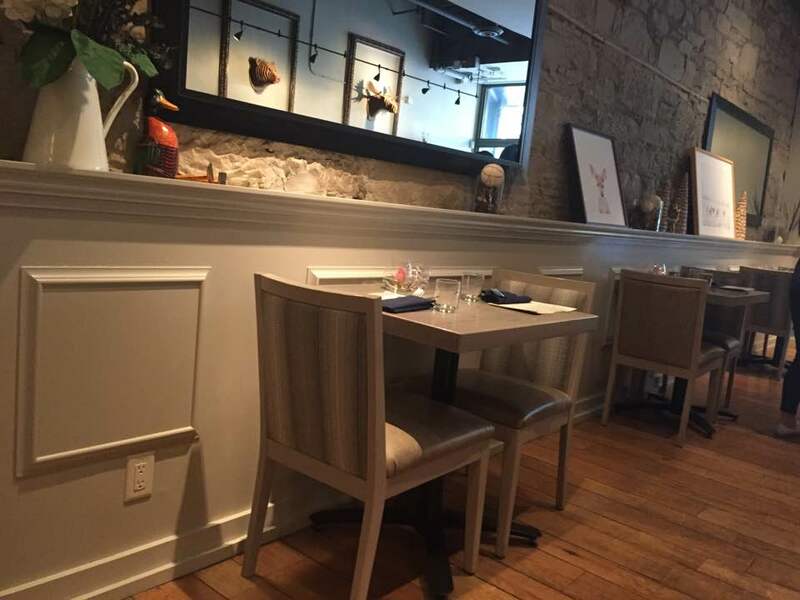 Klein/Harris prides itself on its true north dining experience and you definitely see it in their menu but especially in their decor. 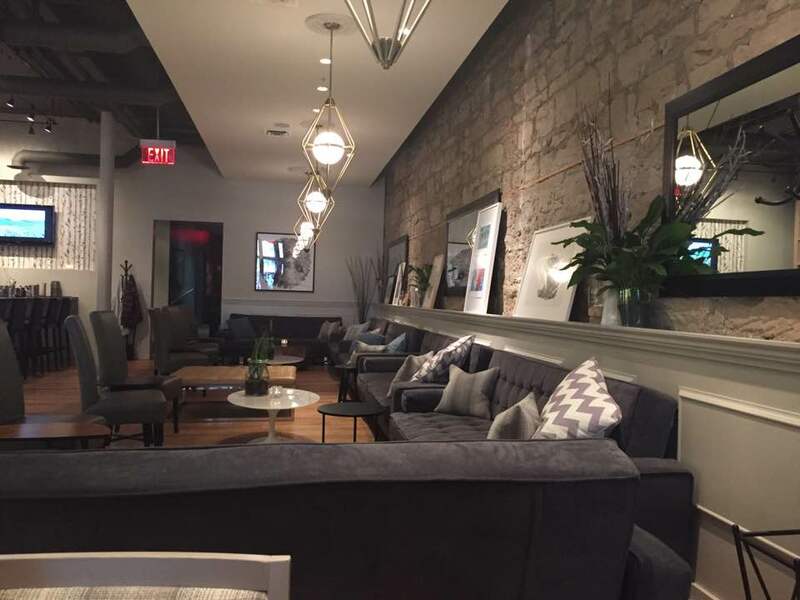 The idea of Klein/Harris is that it is Klein up front - dining and eating and Harris in the back - loungy, comfy and perfect for catching up on conversation. I love the dark grey seating area with the mismatched pillows and tables for drinks and sharable meals. The dining area has very comfy seats and tables in the muted grey color family giving it a great contrast to the "bar" section of the restaurant. 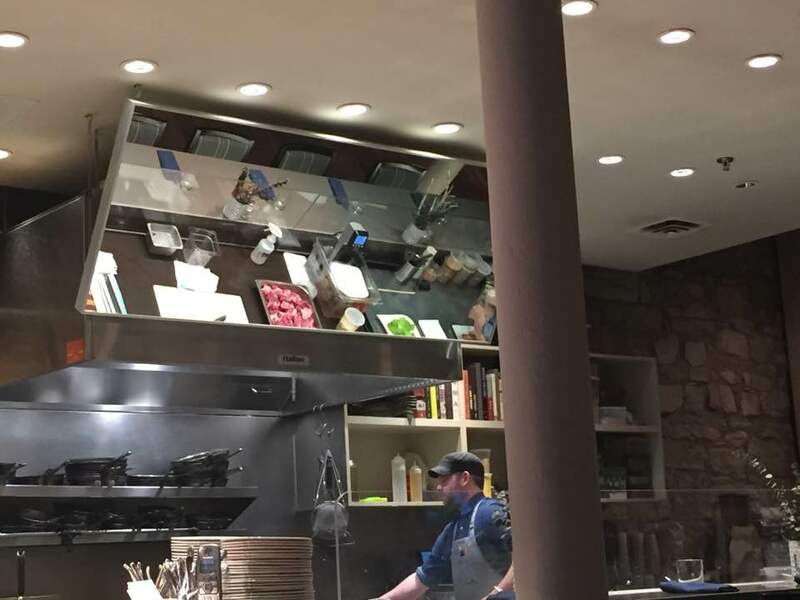 Finley's favourite part was the mirror above the kitchen area so she could watch all the prep work being done. She watched them mince meat, plate meals and all other fun stuff. She was in her MasterChef glory. Klein/Harris is one of those places were sharable plates is very recommended because there is so much good food to choose from!!! 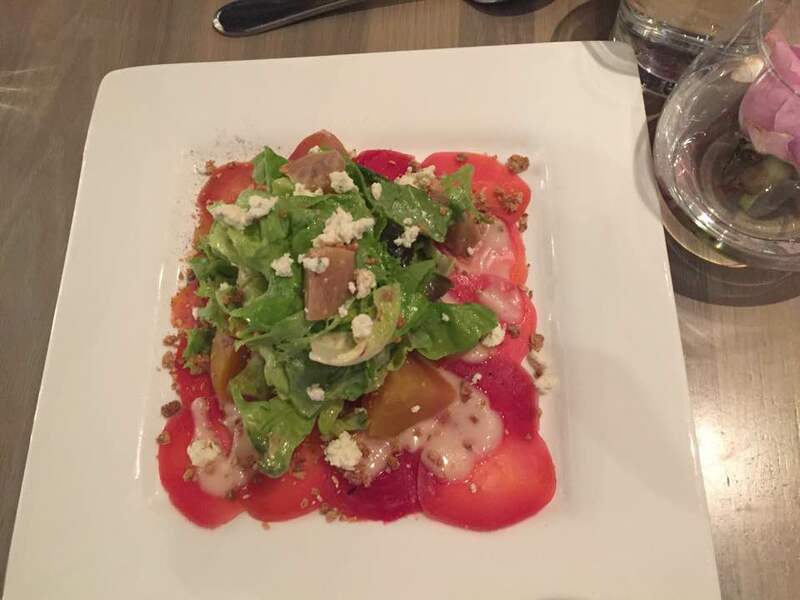 The first plate that we received was the Beet Mosaic. It consisted of boursin cheese (which I loved), oat crumble, baby greens and maple vinaigrette. It was insanely delicious and probably by 2nd favourite beet salad in the city (The Bridgette Bar is better only because it has pistachios which are my favourite). Next was the Toast Three Ways and this was by far the most favourite of the girls and we ordered 3 more orders of toast haha. 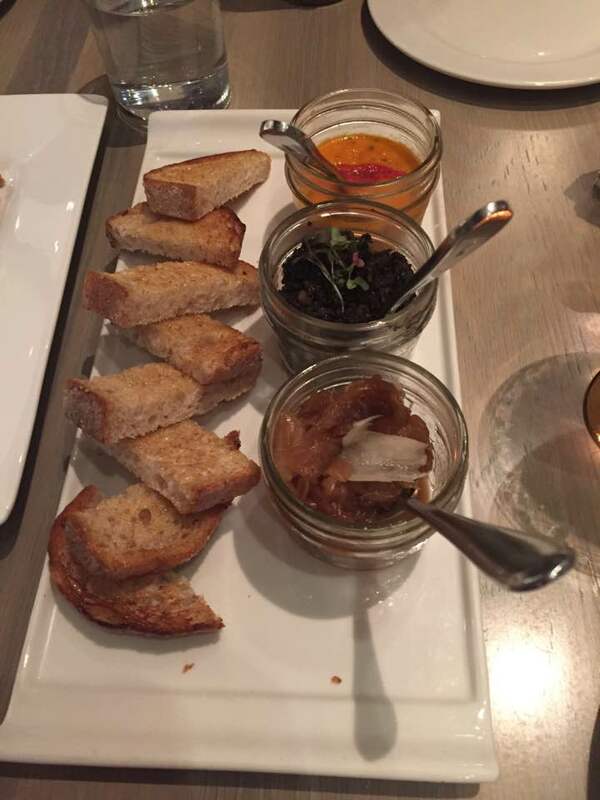 The spreads for the toast were brown butter mushrooms, smoked onion jam and canola oil poached tomatoes. I really loved the brown butter mushrooms and I would have had more of the smoked onion jam but I didn't love the smoked smell and the smell was strong when eating it haha. 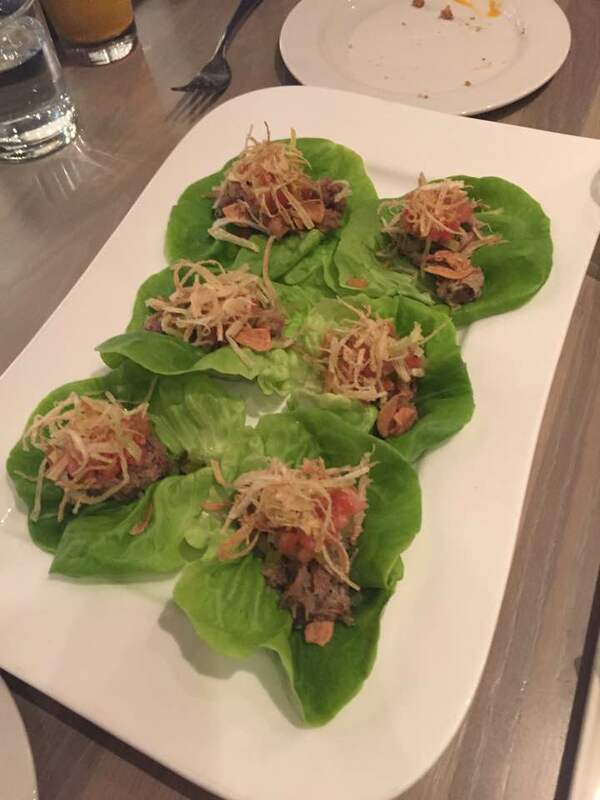 Then we got the Butter Leaf Wraps which was tomatoes, sour cucumber, spicy braised pork, crispy onions and garlic chips. It was spicy but really really good. I always make lettuce wraps with rice so the girls were kinda disappointed that there was no rice haha. 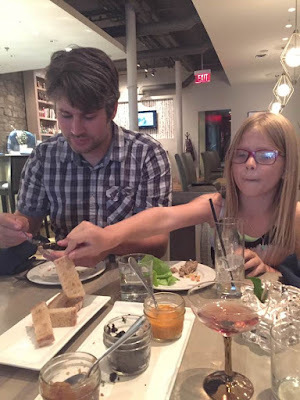 See the toast three ways was a huge hit. The bartender here is famous for her bartending skills and drink making and has done the bar menu at Notable and at Raw Bar and the drinks I had that night were amazing. I had two different ones. The first was The Vancouver - Circa 1950, this canadian classic found popularity at the Sylvia Hotel cocktail bar in Vancouver. Tanqueray Gin melds seamlessly together with Maiden Sweet Vermouth, a dash of benedictine and Angostura Orange bitters. 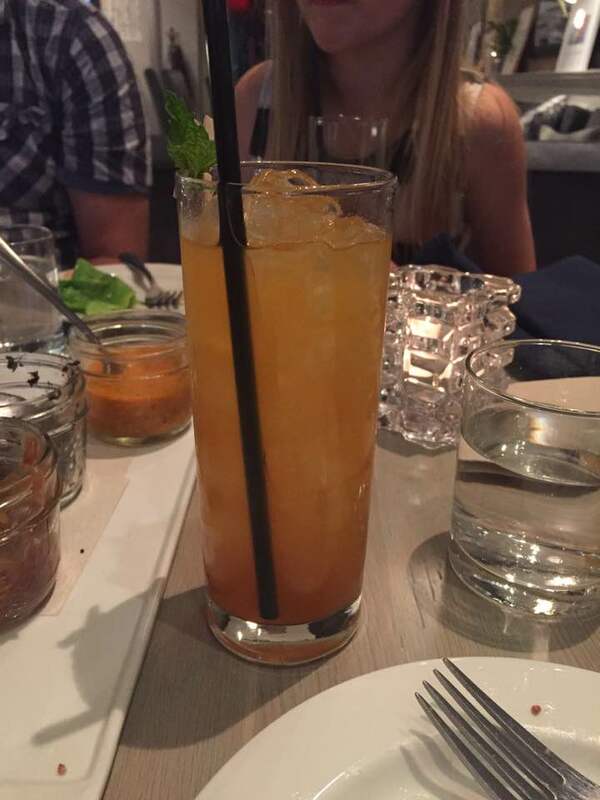 The drink pictured above was my favourite and probably the best drink I have had in a long time. It was called the Tiki Horse and falls under the True North category on their drink menu. It is a house Falernum and Bittered Sling Plum + Rootbeer extracts provide the backbone of this libation. All is combined with Alberta Dark Horse Whiskey, citric acid and peach juice. Tiki imbibers just want to have fun. Seriously this drink could be dangerous given the right situation, it is THAT GOOD. Drink this when you come here. 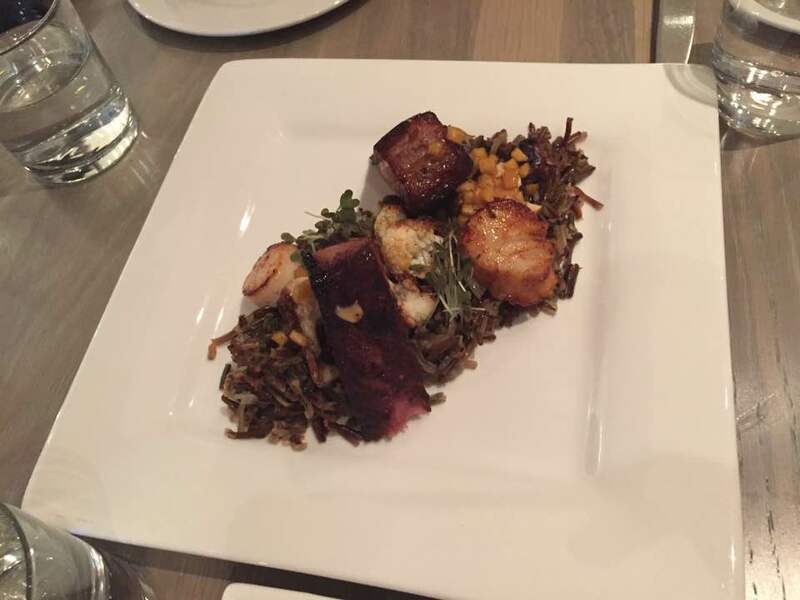 Next, we ordered the evening special which was wild rice, seared scallops and pork belly. There are probably other things too that I don't remember. This was so good. My mouth is watering just thinking about it as I type this all out. Our last meal before dessert was the hangar steak which was roast butter potatoes (so good), mushrooms, thyme and garlic sauce and crispy leaks. This was a great last plate to enjoy. 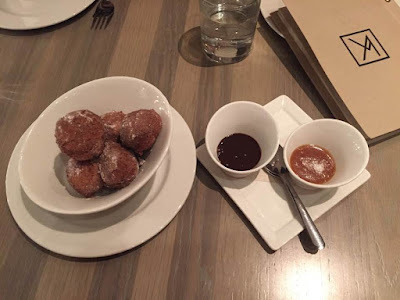 Their dessert menu was really good and even though we were there celebrating my birthday, the girls picked donut holes with chocolate sauce and sea salt caramel which was fantastic. It was so good. We had a great experience dining at Klein/Harris for my birthday dinner. The decor was fantastic and it was very clean, the staff were really friendly and knew their menu very well and were full of recommendations and kept the toast coming for the girls haha. 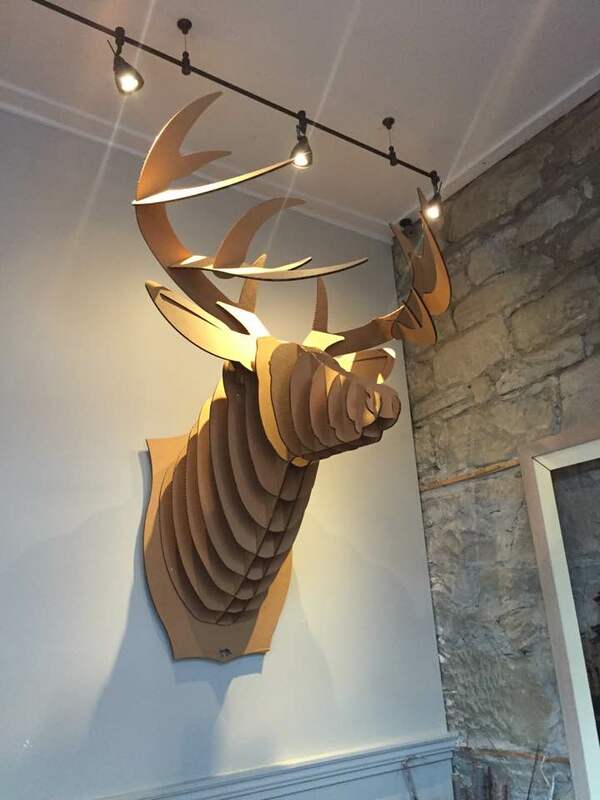 I highly recommend checking this place out next time you are looking for a great place to eat. We will definitely be back.